I hate training chest so much, like not even joking. I sometimes get anxious or feel anxiety about my breathing, ever since I was little and had a pretty bad sore throat where I felt like I was suffocating. I even had to go to a specialist who taught me calming techniques, because I got so worked up about it. It’s a strangle battle between my logical side and my irrational one, because my logical side is telling me that I can breathe, and I’m not going to die or anything, but my irrational one feels like something is wrong and fixates on it. I’ve learned how to cope with this fixation over the years, but I still get recurrences from time to time, and I can always count on them after working out my chest. I have surmised that it’s because the soreness the next day makes my chest more tight, which makes it harder (or possibly only harder in my mind) to get a deep breath. It could also just be because more of my attention is drawn to that area when it’s sore, so it’s just a recipe for obsession and anxiety. Now, down to business! 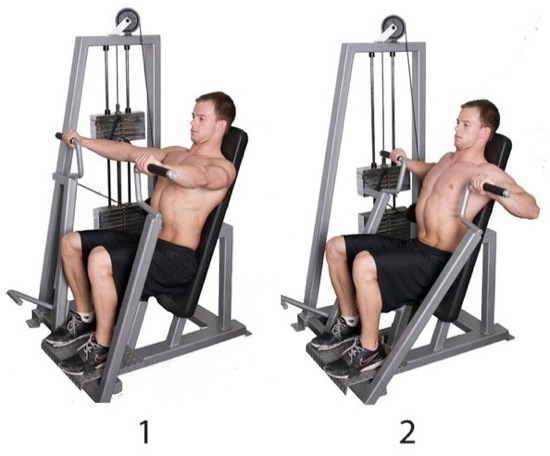 Here are the chest exercises I do and some good tricep ones! I absolutely love training triceps for some reason, while I’m not too fond of biceps. Don’t ask me too explain my weird little quirks, because I don’t even know why I have them! I usually only do these three chest exercises listed below, along with push ups, because my chest is pretty weak, so I’m usually tuckered out after only doing these. 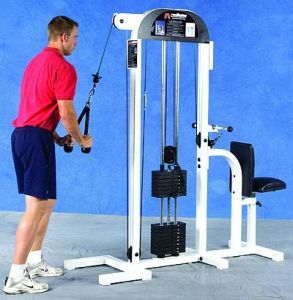 I do a triceps pull down with a rope a lot, because the burn is a mixture of heaven/agony after doing twelve reps. I like to feel my hard work. I also do the same movement, but with a little bar attached instead of a rope. 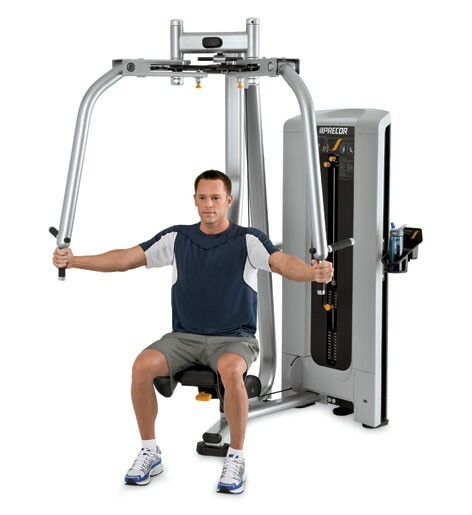 You can target different areas of the triceps by grabbing the bar on the sides, instead of the standard middle grip.